Instagram's new Update is Strongly Inspired by DSLR & Obscura App, and we are all for it! Instagram is again making a move. The photo and video sharing platform is constantly working on adding new/updating existing features that will make it easier to use and more enjoyable for their users. There is reportedly a new feature being tested out, which will definitely catch the attention of a DSLR savvy. 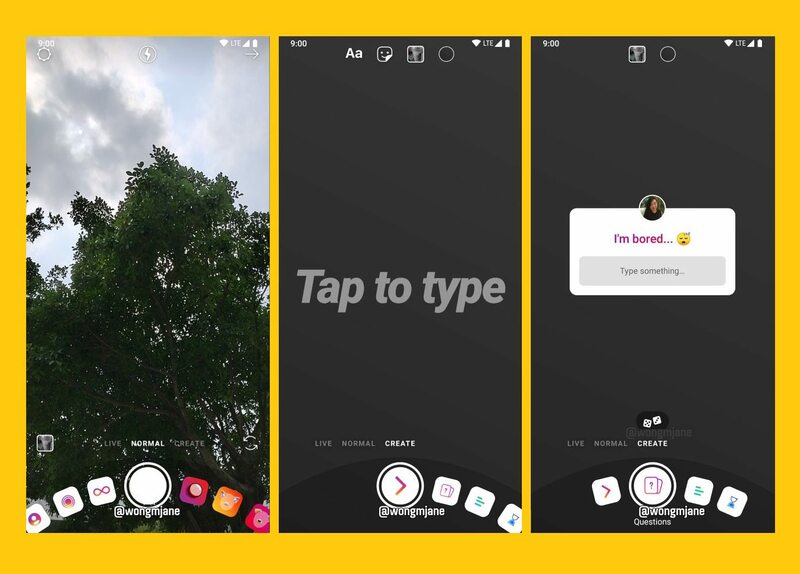 Jane Manchun Wong, who is often the first one to uncover such features, posted a screenshot of the new update that Instagram is currently working on. It is a new Stories UI which will allow users to switch between different modes. The interesting thing about it is that the modes are presented in a mechanical circular form, inspired strongly by a DSLR mode switcher. Wong also posted a side-by-side comparison of the two switchers in the comment thread of her tweet. The new update will allow a user to switch between 3 modes, “Live”, “Normal” and “Create”. Live mode’s functionality will most likely remain as it is. Normal mode will help a user with AR effects and Capture Modes. Last but not the least, Create mode will present the user with a variety of Text and Sticker oriented functions. A video demo was also attached with Wong’s tweet. Someone was quick to point out in the comment thread how the new update looks like Obscura app’s UI. This led Wong to post a side-by-side comparison of the two UIs and honestly, they do look the same. Even Obscura app’s official twitter handle has passed a comment on the striking similarity. The release date for this update hasn’t been announced yet. However, some people expect it to be launched at Facebook Developer Conference next month.